The book is a part of series which focuses on ancient bloodlines. It intertwines the present days to a mythological past. The chapters oscillate between the present and the past. The book has history, mythology, occult, mercenaries and all served with a modern take. Vidyut is in his early 30’s and is a jack of all trades. He is an entrepreneur and also has strong religious beliefs and immense strength. The author elaborates more on Vidyut’s character, family in New Delhi and portrays him to be perfect. He is suddenly summoned by his ancestor to Varanasi.Unaware of what is in store for him, he arrives in Varanasi. 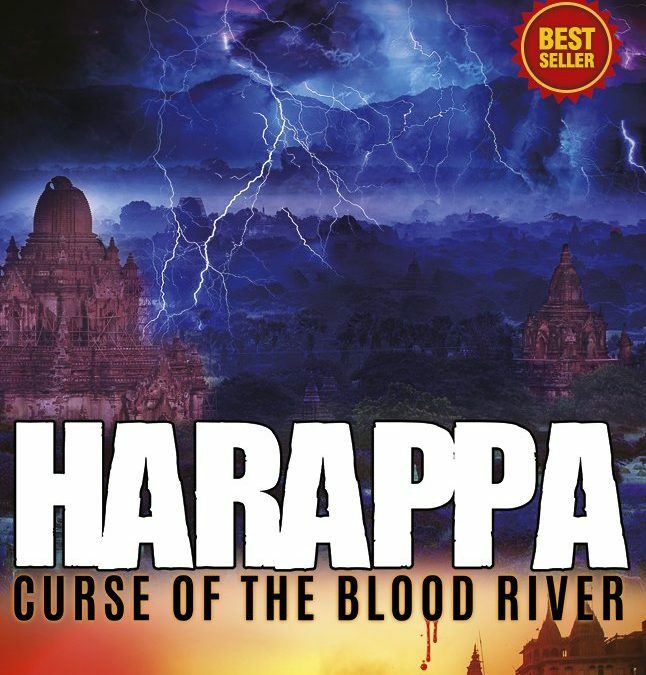 In parallel we are now introduced to the magnificent city of Harappa, the mighty Saraswathi, people in it, the day to day happenings, the great Vivasan Pujari, his wife Sanjana and their son Manu. The plot begins to deepen, contrasting yet similar traits in the past and modern world of treachery, deceit, occult, exorcism, jealousy, thirst for power and ignorance. The other characters along with the pain shape the book well. The language is simple. Brilliantly edited and beautifully written. Excellent vocabulary. The book can be finished in a single sitting. Among many Indian authors, I have developed a deep liking towards the author because of his writing. This is the first time I am reading him but it was really worth the time. I did not like Vidyut being portrayed as perfect, that is something related to my belief. I believe nobody is perfect, human or god. There are plots, sub- plots and a wide story base, yet neither would you feel bored nor would you get confused. The book is well-researched and a must-read for a mythological, fiction and history lover. This Book Review is a part of “The Readers Cosmos Book Review Program and Book Promotions” To know more log on to http://thereaderscosmos.blogspot.in/. wow 4/5, this sounds like an interesting book. I read about the civilisation only in history books. Well reviewed. That sounds interesting, Ramya! It is so refreshing reading stories that are in a different world, altogether. Will surely pick it up if I come across it! This definitely sounds like something I’m going to enjoy reading esp with the rating you’ve given! I like fiction connected with mythology. You’ve cleverly given nothing away in the story! Haven’t read this book–will read it! Ramya, it is a pleasure to read books which challenge your mind. I think this book sounds like one. Your review has piqued my interest and I am keen to read this book to know more about the story. thanks.